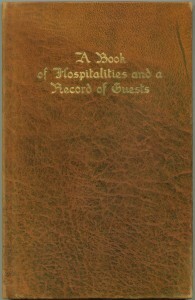 Guest books aren’t seen much today except at weddings and funerals. 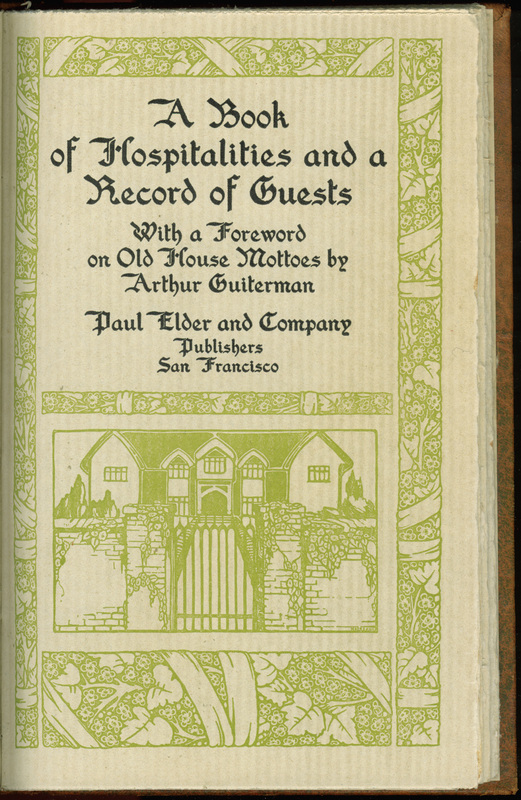 It seems they were more popular in the early 1900s, as Paul Elder published four guest books between 1904 and 1910. 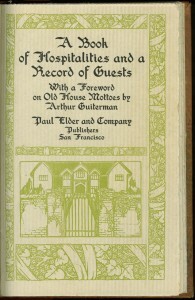 Arthur Guiterman’s Book of Hospitalities And a Record of Guests (1910) was intended to be placed in the parlor, living room, or perhaps the guest bedroom. 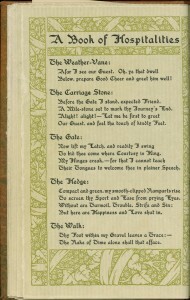 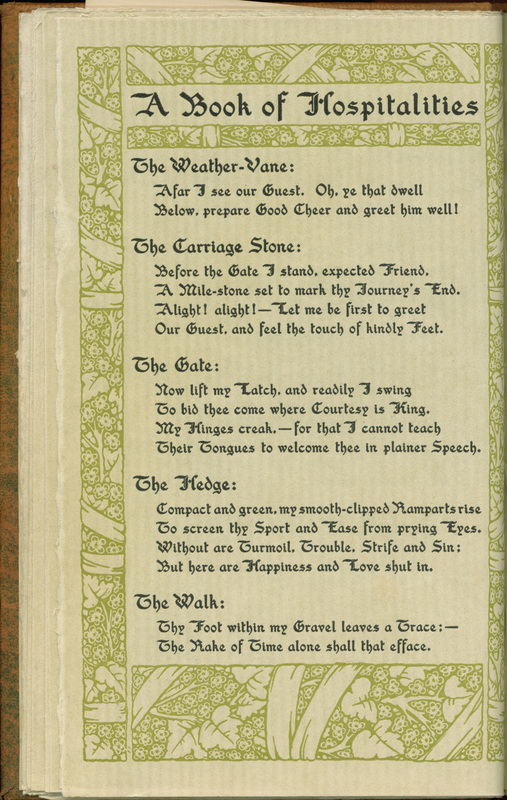 The first section (“A Book of Hospitalities”) contains a selection of sayings and epigrams for the house, and the second half (“A Record of Guests”) contains blank areas for the guests to write in. 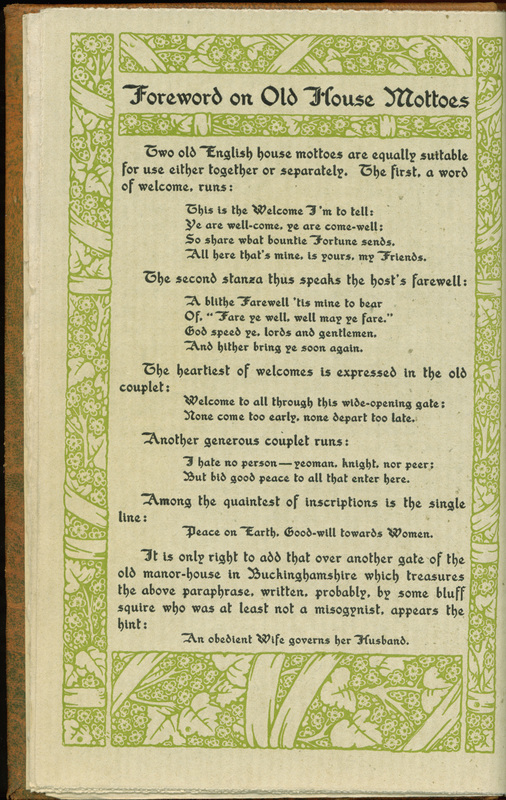 Guiterman was also involved in two other Elder publications: the 1908 guest book entitled (appropriately enough) Guest Book, and the 1907 humor book Betel Nuts, Or What They Say In Hindustan. 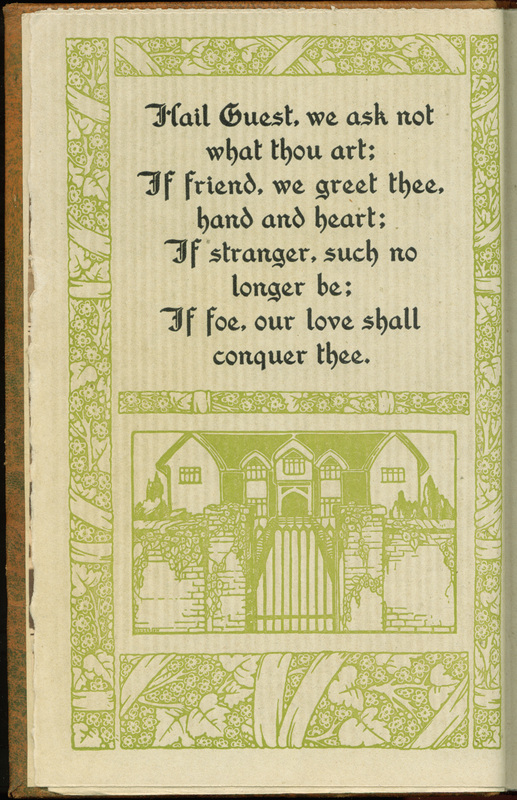 Arthur Guiterman (1871-1943) was born in Vienna to American parents and graduated from the College of the City of New York in 1891. 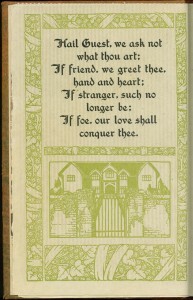 He was the author of a dozen books, primarily poetry. 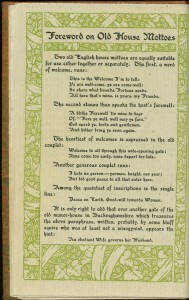 He was also editor of Women’s Home Companion and Literary Digest. 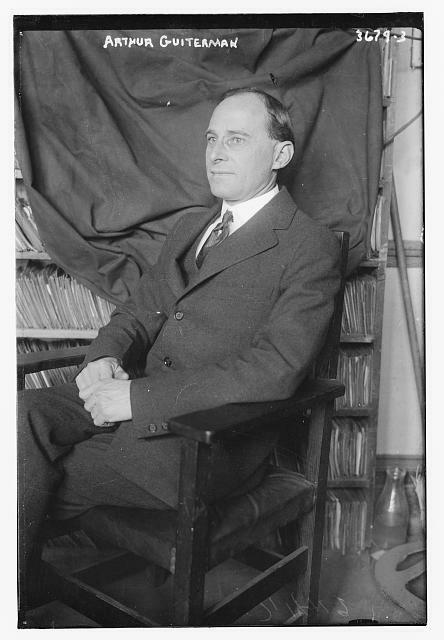 In 1910, he co-founded the Poetry Society of America (which still exists and celebrated its centennial in 2010), and served as president in 1925. 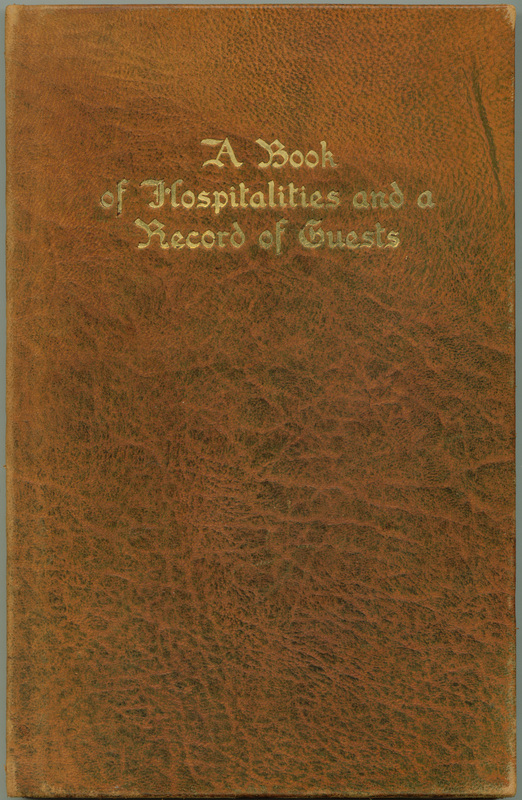 If you happen to own a copy of my 2004 Checklist of the Publications of Paul Elder, 2nd edition, you will see that the page borders are taken from Book of Hospitalities.